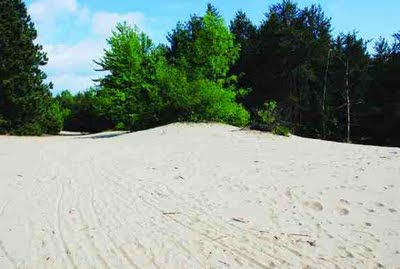 Did you know that Ottawa has a sand dune ecosystem (that has existed over 10,000 years)? Did you know that it is shrinking every year? Ottawa could lose this sand dune for good within 10 - 15 years. A restoration effort is being carried out by Biodiversity Conservancy in collaboration with the National Capital Commission and funded by the Ontario Trillium Foundation to restore the remaining part of the SSD system to a sustainable level. The restoration includes making a scientific assessment of orgsanisms living in SSD, removing weeds, selected trees, accumulated organic material, and cleaning the sand in the core of the remaining dune to stabilize the system. A corridor of woodland will be maintained around the perimeter of the SSD to minimize erosion by wind and to contain the sand in the dune. For more information on this important biodiversity project go to the Biodiversity Conservancy website. They also have a Biodiversity Journal which they publish four times a year. "People often mistake a bear clacking his jaws as threatening, but he is really saying "get out of here, leave me alone and don't hurt me," Stringham said. Non-threatening behaviour and sensitivity to body language usually defuses the situation, he said. Some cities are now ensuring there is a green corridor so lost wildlife can be escorted out of town, he said." 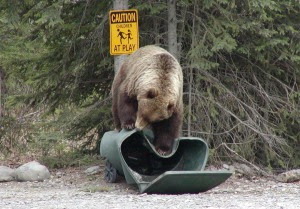 "Still, $3 million (for a bear census on Kenai Peninsula) would buy a lot of bear-resistant garbage cans and fund a significant outreach campaign to educate the public about decreasing bear attractants. That may be a better use for the money, Selinger said. As much as he’d like to have an answer when people ask how many bears there are on the peninsula, he’s hesitant to be enthusiastic about a census without knowing how valid that result would be." The City of Ottawa wants to rehabilitate an urban stream in the west end that frequently floods because of surrounding developments, and says the plan could be a template for similar streams in the city. 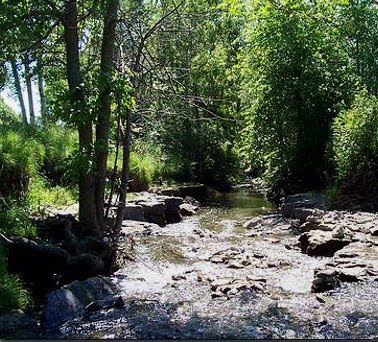 Pinecrest Creek, a four-kilometer-long tributary that flows from Algonquin College into the Ottawa River, can rise by more than two metres after a rainstorm, ruining the shoreline and killing the aquatic life. Jennifer Lamoureux, a biologist with the Rideau Valley Conservation Authority, says the conditions also mean that oil, salt and pet feces run from neighbourhoods into the waterway after rainstorms and eventually the Ottawa River, just upstream of Westboro Beach. "It does get into Pinecrest Creek," she said. "There is very little control, if any, as far as filtration." To deal with the creek's woes, the city is working on a proposal that will be released this fall. Dixon Weir, Ottawa's general manager of environmental services, says the report will encourage property owners to take responsibility for their stormwater run-off. The plan may include incentives for rain barrels and perforated parking surfaces. Weir says it's a pilot project that could become a template for managing other urban streams. "This is a key learning opportunity for the city, and also for the residents, to understand better their impact and their positive contribution and influence they can have on the environment," he said. - Clearing of channel blockages, such as sediment and woody debris accumulations, channel protrusions which obstruct flow, and mid-channel bars which deflect flows. Nine restoration sections, with a total combined length of approximately 670 metres of the 2.3 km of open channel, are proposed for restoration. Modifications will result in approximately 635 cubic metres of additional channel capacity." Read this 2011 post if you want to know about riparian buffers and levels of stream restoration!